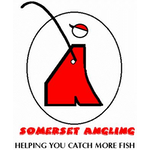 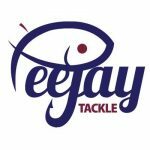 Pellets straight out of the bag catch an awful lot of fish but in this day and age where the fish have seen it all on busy commercials, what can you do to give yourself an edge? 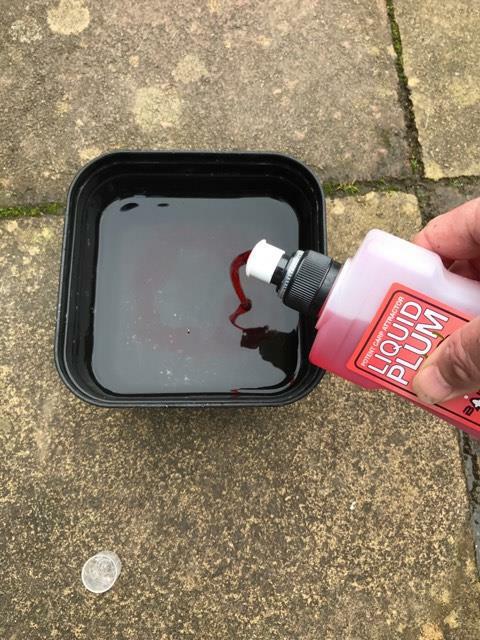 I like to prepare my micros the evening before a match and I add two extra levels of attraction, firstly I flavour the water used to soak the micros (in this instance I used Bait-Tech’s Liquid Plum) and then cover them for a few minutes before draining the water off and then I add a liberal helping of groundbait (I thought I’d try the new Pro Feeder Dark). 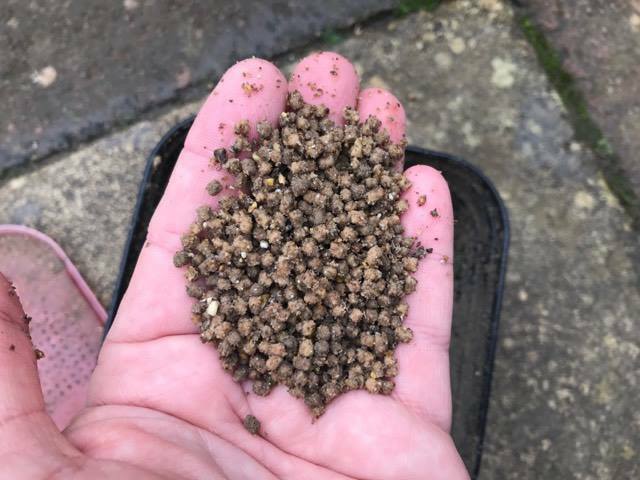 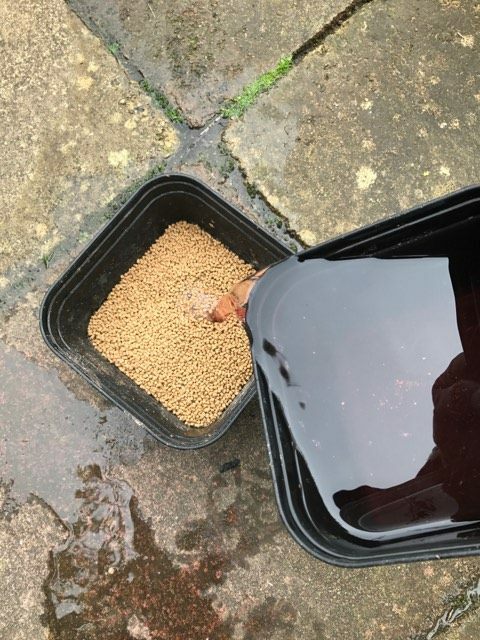 The addition of some groundbait does two things, it helps to separate the micros and also gives them a light dusting so when you cup them in they give off an enticing cloud. Give the bait tin a good shake and put them in the fridge overnight and in the morning you will have lovely soft micros. 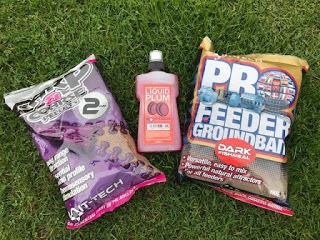 It’s good fun experimenting with the almost endless combinations of groundbait/flavours the Bait-Tech range offers and you can tailor them to suit different water conditions i.e. 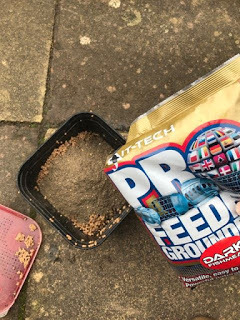 dark groundbait for clear venues.